New Platinum custom natural Ceylon sapphire ring containing a emerald cut natural vivid royal blue sapphire measuring 8.21 x 6.70 x 3.74 mm weighing 2.09 carat. Type II. medium dark, strong, blue color GIA B 6/5, set with 82 Round brilliant cut diamonds with a weight 0.92 ct's VS-Si clarity, G-H color. 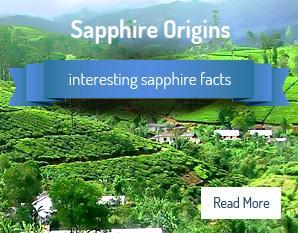 Sapphire GIA certified please see pictures. GIA Color Grade - GIA B 6/5 - Please view HD video. If your in search for a classic engagement ring this is a stunning piece of fine jewelry, set with a 2.09 carat royal to bright blue emerald cut Ceylon natural sapphire carrying the GIA grade of B 6/5 would be perfect for you. This new platinum 950 diamond sapphire ring setting has being hand finished off to the finest of details, with hand beading on the halo with round brilliant cut diamonds accenting both the sapphire and the housing finished off with the same diamonds set down both sides of the shank. Gorgeous sapphire engagement ring or perfect gift for the person looking for the best, for sale wholesale ref sku 3242. This Sapphire & Diamond ring has being fully & independently Appraised by a GIA G. G Gemologist with both the GIA report shown with the pictures.